For us - "Black Sea Capital" Ltd.
"Black Sea Capital" Ltd. is a company with limited liability 100% private capital and without the participation of capital in other enterprises. Since its inception in 1996. to present "Black Sea Capital" Ltd. has established itself as one of the greatest players in the cash market in Varna. With its modern and functional offices, qualified staff and good service, company has managed to attract and serve over 2 million customers. 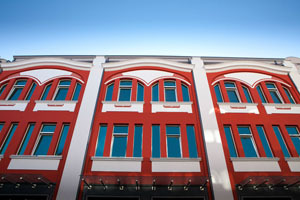 "Black Sea Capital" LTD has over 50 employees and 3 office in Varna. Turnover of the company ranks first as a cash shop in the first place as a partner of international conglomerate Western Union. Our goal is to continue the upward trend in development. We aim to increase our portfolio of products, we offer, to expand their knowledge and experience, so we can respond to the needs of our klienti.Ekipat the company is young,committed to customer needs,flexible and innovative.